When planning a party theme, it can be as simple as selecting a colour scheme. 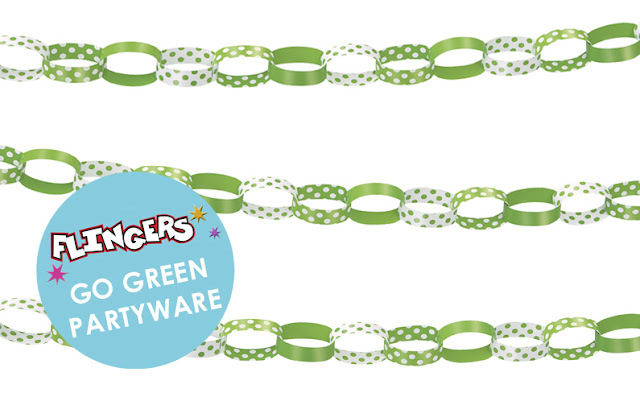 In the run up to Saint Patrick's Day, we've been stocking up on all things green. But although this is the familiar colour of the Emerald Isle, by no means does that mean you can't use to at other times of the year. From the biggies, like the table covers and the bunting, to the smaller details like paper chains and confetti. There are so many elements to consider when planning a party, and the finer details are the best way to convey your colour scheme. 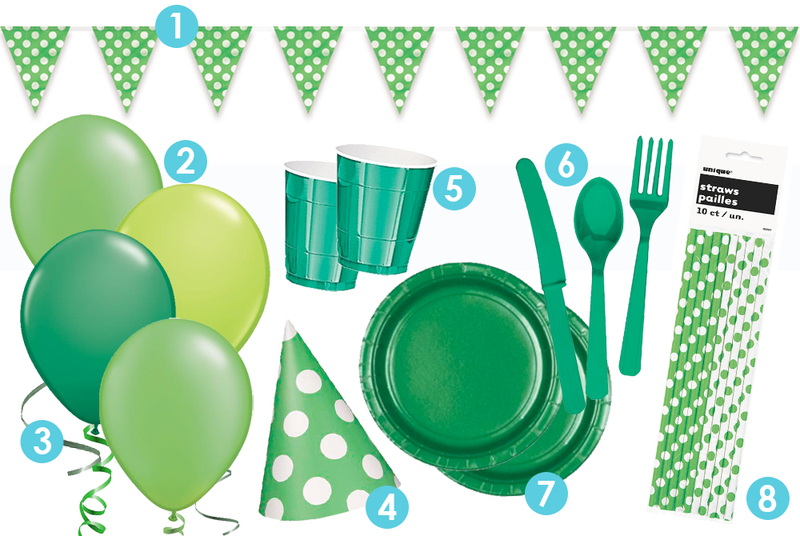 We've picked out some key party decorations and tableware to keep to your green theme whatever event or special occasion you are planning! Stock up on all things green at Flingers Party Shop! Not forgetting the green party bags, green napkins, pom poms and much much more! Will you going green and planning a St Patrick's Day party?